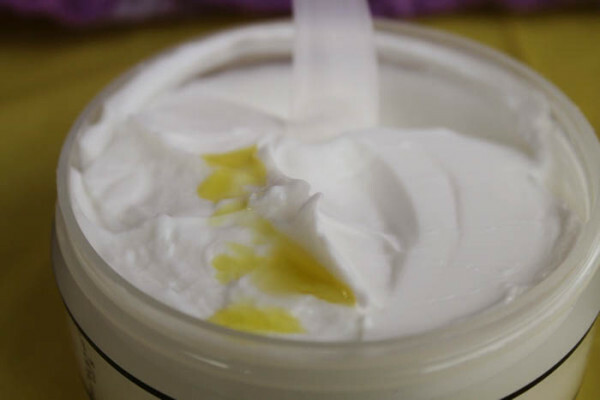 Want to give DIY natural beauty products for the holidays but don’t really have time time or skills to mix up your own body butters, lotions or massage oils? Maybe you have a beauty product fanatic on your wish list who would absolutely LOVE to mix up their own custom scents. AromafloriA recently released a new line designed to let anyone customize all-natural beauty products at home like an expert. I had the chance to try it out so I can tell you all about it. As I said above, Mixology Natural Custom Blending is a really cool new line from AromafloriA. The concept is super easy. Pick a base product, pick an essential oil blend, mix together, enjoy. It all starts with your base product. Mixology rolled out a ton of great base products since they launched, with everything from bath salts to sports relief oil. I tried out the body butter and the massage oil. I love the massage oil because it’s also a great “after shower” oil for locking in moisture. Once you choose your base, it’s time to pick an essential oil blend. It’s important to note that you’re getting a blend, not a straight essential oil. While I was a little disappointed by this at first, it quickly made sense to me why they do this. First, essential oils can be incredibly expensive. By offering a blend, they can keep the price point consistent no matter which oil you choose. Second, honestly, most people don’t understand just how potent essential oils can be. There are very few essential oils that you can apply “neat,” meaning without a carrier oil. Even those oils are best used with a carrier. To put it into perspective, a drop or two is all it takes to scent a cup full of bath salts. By offering essential oil blends, I feel like Aromafloria is being responsible and considering the safety of those who aren’t experts in making DIY beauty products. Third, by offering essential oil blends, Aromafloria is basically giving you a way to extend the life of the Mixology product behind the base. You’re not going to use the entire bottle of your chosen essential oil on one base. Trust me. Since they blend their oils with a high-quality carrier (Jojoba oil), you can also use them as a fragrance oil, bath oil and added to a spray bottle filled with distilled water to create a home fragrance mist. 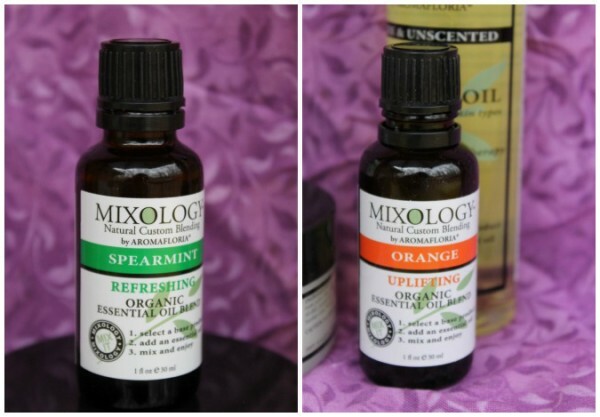 When you’re mixing up your Mixology beauty product, take it nice and slow. About 8-10 drops gives it a light scent. Add more for a stronger scent, but always mix and try a little before you start going nuts. You can always add more. Cutting back on a fragrance overload is a bit harder. 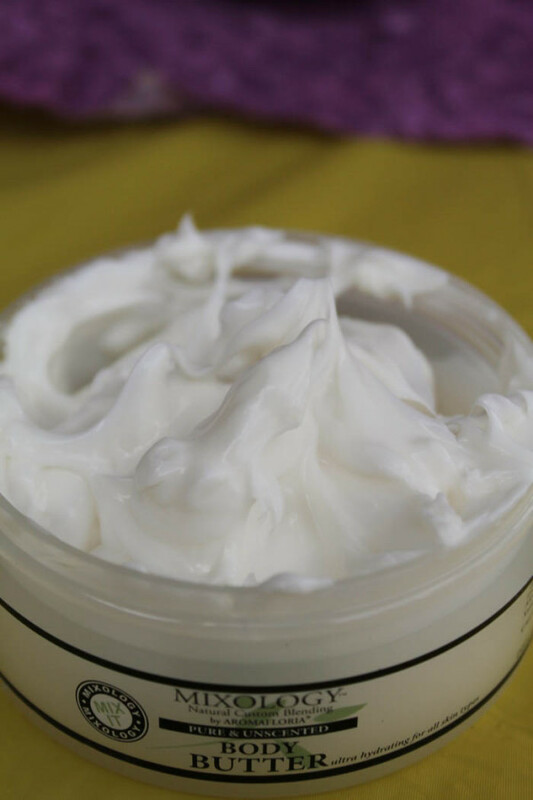 I used the Orange Essential Oil in my body butter. It’s a very energizing scent. I mixed Orange and Spearmint together in the Massage Oil for a scent that perks me up and soothes after a long day. 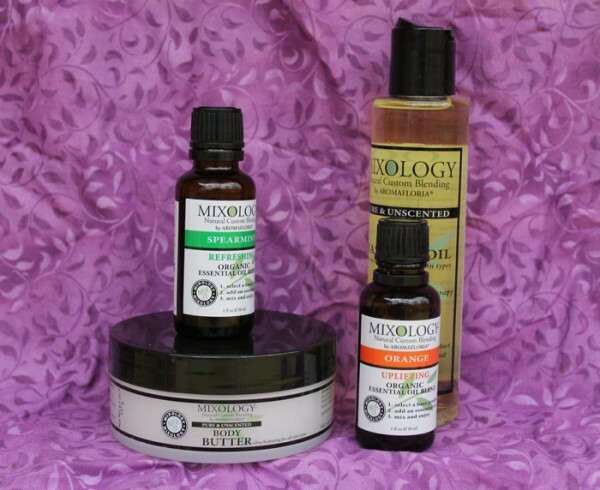 All the Mixology base products are unscented, which makes them great stand-alone products for people with allergies to fragrances. Since the bases and the oils are sold separately, you can pick as many of each as you want. Planning on making a whole collection of Lavender products? Grab one bottle of the essential oil blend and a few great bases. Create your collection, then pop it in a pretty gift bag and you have the perfect holiday gift! 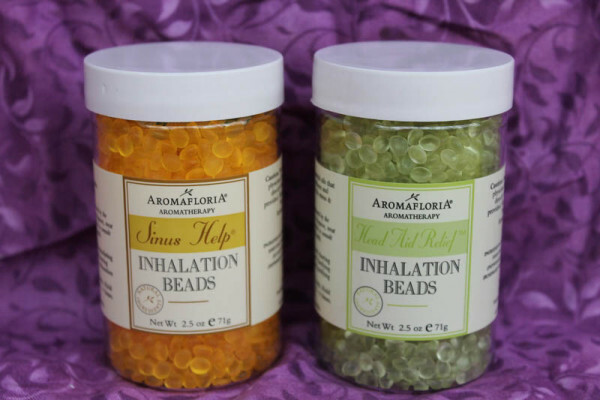 While you’re shopping for your Mixology needs, click on that Inhalation Beads tab on the AromafloriA website. You’ll thank me for this, trust me. I have the Sinus Help and the Head Aid Relief Beads. The Sinus Help Inhalation Beads are probably one of my favorite things in the entire world right now. They’re these fabulous little jars of head-clearing bliss. 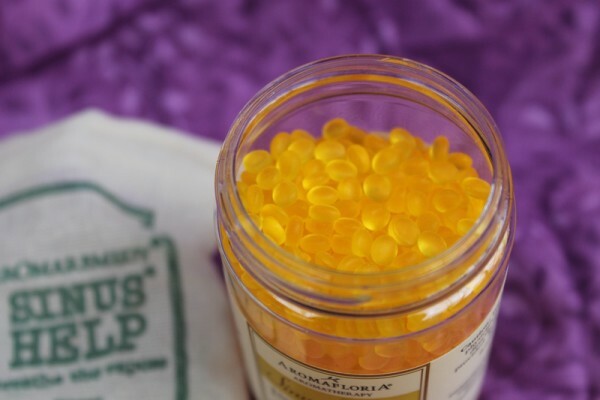 Inside the jar you’ll find polyolefin beads infused with natural essential oils. The blends depend on the purpose of the beads. My favorite Sinus Help beads feature Eucalyptus, Peppermint and Lemongrass. Each jar comes with a little pouch. Fill it up and pop it in your purse. When you’re feeling stuffy or head achy, take it out, stick it under your nose and inhale deeply. Ahhhh. Best thing ever. These make perfect stocking stuffers for busy moms, frazzled dads, aunts, uncles…pretty much anyone. Aside from the Head Aid Relief and Sinus Help, they also have Stress Less and Sleep Ease Inhalation Beads. I definitely need those too! After trying out the Mixology products and the Inhalation Beads, I’m anxious to check out other great products from Aromafloria. I love that they use ingredients sourced through Fair Trade practices and are committed to ethical practices. Check out their mission and commitments statement and you’ll see that their products are cruelty-free, certified organic, and environmentally friendly. Head to AromafloriA to start shopping. Check them out on Facebook and Twitter to keep up with news, and on Pinterest for more inspiration. Very nice! 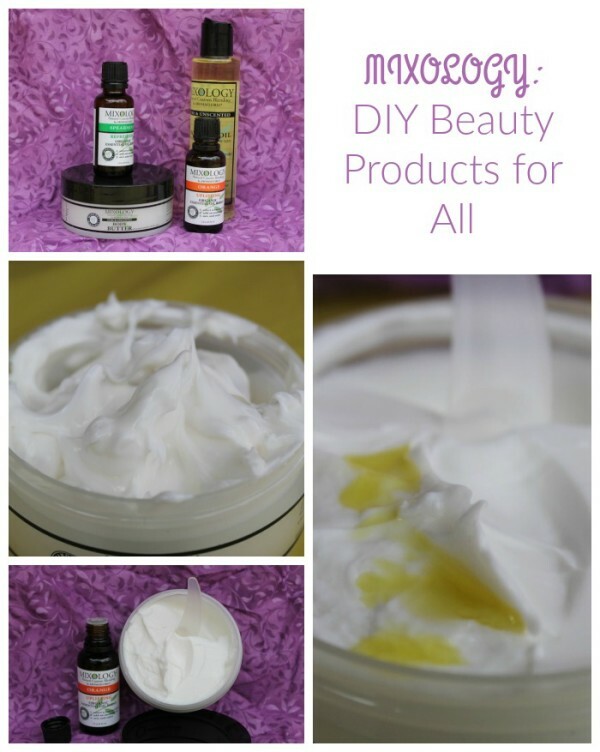 I would love to make my own products that will be good for my skin type. This would make a really neat holiday gift. I love the concept of this. Also gives you the options not to make the product too strong or overwhelming. My sister would really like this. Thanks for the info.